In our Open Krav Maga classes, you will learn the most effective self defence system in the world. All of our instructors have been qualified and certified to teach by Krav Maga Global. We are proud to say we learn directly from the source of Krav Maga. Our rotating curriculum will ensure you cover everything you need regardless of your skill level. You can start your training at any time. I’ve been training in Krav Maga with Sven and the team at Krav Maga Self Defence since 2011. I initially started to learn some self defence skills, and get fit. Although I tried a few other Martial Arts & Krav Maga schools before this one, this is the place I felt welcome from my first lesson. The classes and students are diverse, and it is a friendly place to train. Even though I was an inexperienced student, I was able to train regularly and progress through challenging but achievable classes. Not only have I learnt some real-world Krav Maga skills, I’ve made some great friends too. 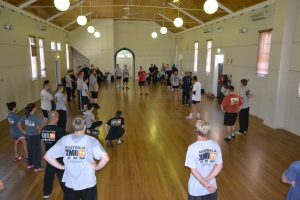 If you’re looking for self defence classes in the Castle Hill area, you won’t regret trying out a class with Sven or one of his experienced instructors.